Josh is the Spring Developer Advocate at Pivotal. 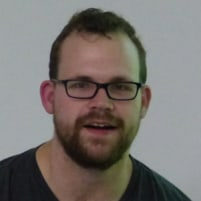 Josh is a Java Champion, author of 5 books (including O’Reilly’s upcoming Cloud Native Java: Designing Resilient Systems with Spring Boot, Spring Cloud, and Cloud Foundry) and 3 best-selling video trainings (including Building Microservices with Spring Boot Livelessons with Spring Boot co-founder Phil Webb), and an open-source contributor (Spring Boot, Spring Integration, Spring Cloud, Activiti and Vaadin). In this workshop, we'll look at how to build cloud-native Java applications. A cloud-native application is one that is designed to fully exploit a cloud platform both in the application layer – where things decompose into microservices – and at the data layer where NoSQL offers better horizontal scaling and fitness for specific purpose. scaling out safely and building fault-tolerant systems using Spring Cloud and its support for distributed systems patterns like the circuit breaker, service registration and discovery, and centralized configuration management. In this workshop we’ll look at how to build cloud-native Java applications. A cloud native application is one that is designed to fully exploit a cloud platform both in the application layer – where things decompose into microservices – and at the data layer where NoSQL offers better horizontal scaling and fitness for specific purpose. Organizations break their larger software ambitions into smaller, independently deployable, feature -centric batches of work - microservices. In order to reduce the round-trip between stations of work, organizations collapse or consolidate as much of them as possible and automate the rest; developers and operations beget “devops,” cloud-based services and platforms (like Cloud Foundry) automate operations work and break down the need for ITIL tickets and change management boards.